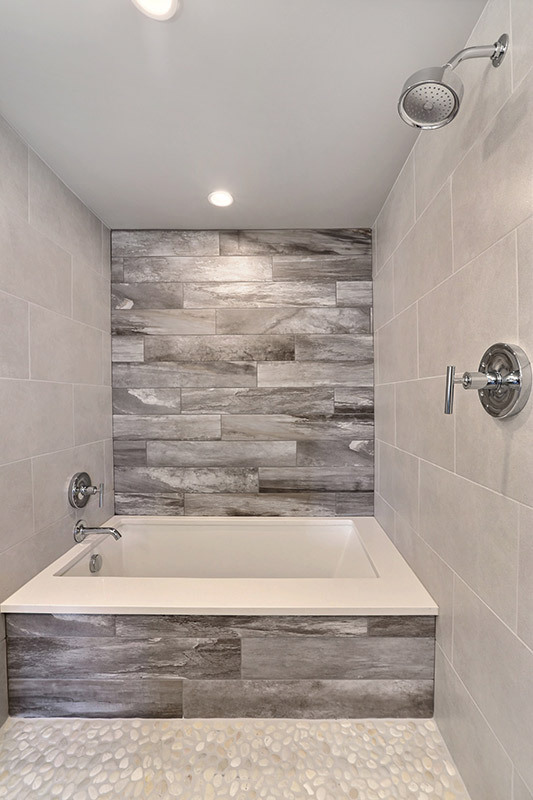 Master bathroom “Wet Room” the back wall was highlighted with 6×36 tiles in soft watercolor patterns and a neutral matte 12×24 tile on the sides. 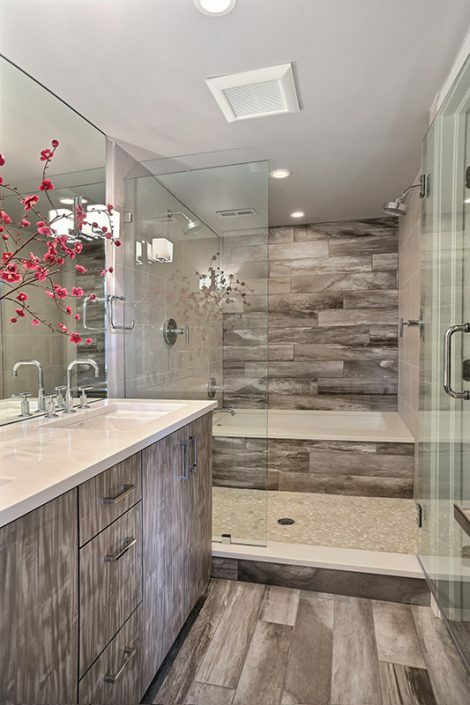 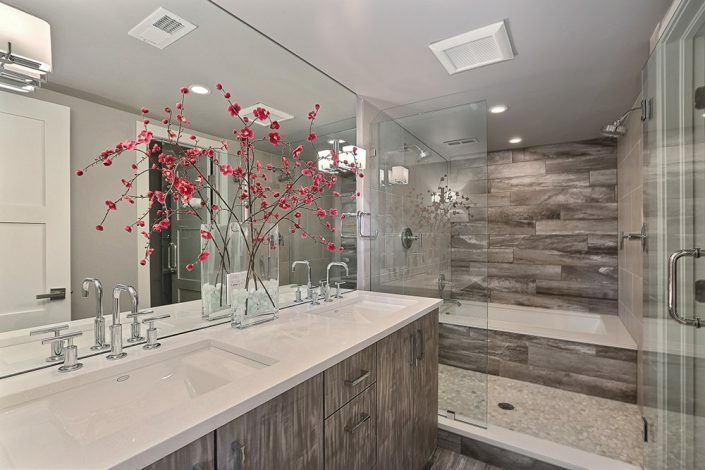 The shower pan is river rock for an organic touch and the cabinets are laminate in a washed taupe color that looks metallic and matte at the same time. 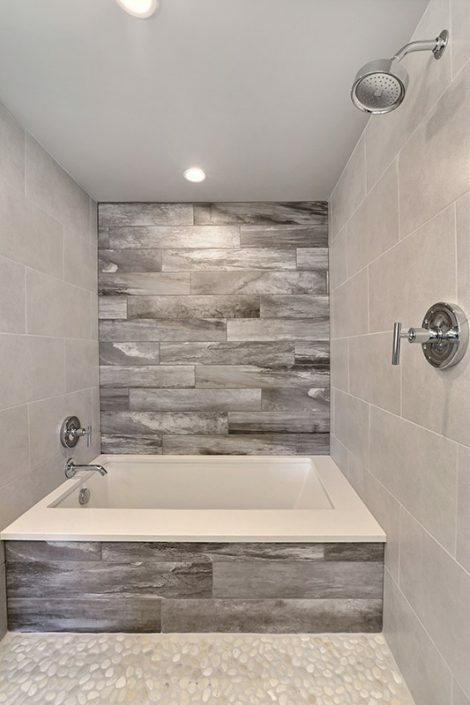 I love the simple effect of a plank format tile and a neutral contrast on teh sides.